Illuminate High School simply has a lot of fun, laughs a lot, hangs out, and studies God's word every Wednesday night (except the last Wednesday of the month) from 7-9pm. Our one rule is that there are no perfect people allowed. Illuminate High School longs to create an atmosphere that is welcoming to everyone in High School. We also put on sweet monthly events and also have some pretty legendary retreats. Our High School students, just like our church, have the vision of leading people to believe and live as followers of Jesus Christ. We lead students to believe through worship, teaching from the Bible, and discussions about who God is and what that means for us. Every Wednesday night, High School students can expect to play some incredibly fun games, hear about Jesus and dive deeper into relationship with one another in small groups. Our team of adult counselors are ready, willing and able to dive deep with your students and help model what it means to live for Christ. If you are high school aged, please come by and check us out! 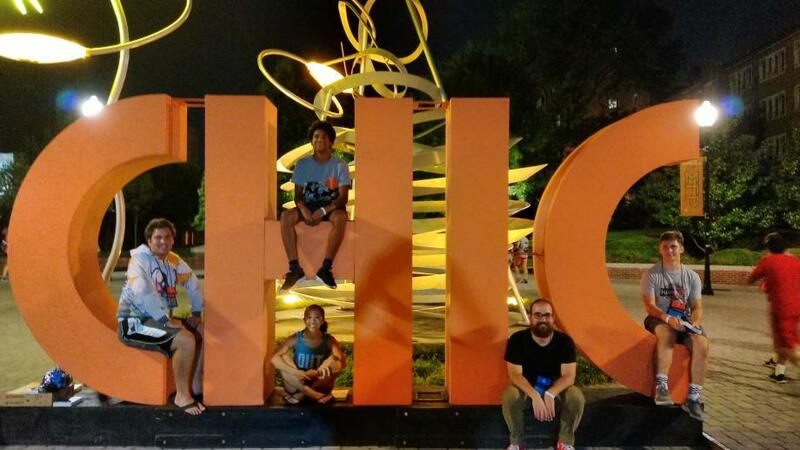 We were so stoked to be able to take our students to the University of Tennessee, Knoxville to experience the Evangelical Covenant Church's triennial conference, CHIC (Covenant High In Christ). Here is a photo of our group at CHIC.